Ingrese su dirección de correo electrónico para El May noticias y actualizaciones relacionadas. With The Other Person is You songwriter El May - also known as Lara Meyerratken - has created an album full of love, loss, desire, and strength. Get to know the layered and orchestral The Other Person is You – with it’s striking images and auditory delights – and it will come as no surprise that before building a career as a freelance musician and composer, Meyerratken was a painter and printmaker, and still makes time for visual experiments. 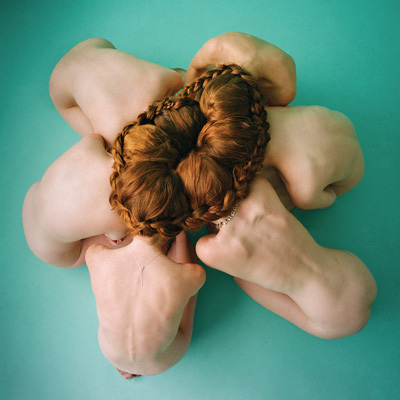 This is the second full-length album written, produced and performed by El May. Her self-titled debut LP was released in 2010, and received US radio support from KCRW and KEXP, and was licensed for television (Pretty Little Liars, The Lying Game, Melrose Place) and film (Our Idiot Brother). Prior to recording under the moniker El May, Meyerratken’s impressive capabilities as a vocalist and multi-instrumentalist were harnessed by a remarkable variety of artists such as Nada Surf, Luna, Crooked Fingers, and Luscious Jackson. The Other Person is You came to be when, after a string of romantic disappointments, Meyerratken embarked on a period of quiet self-evaluation. How does one love without transferring unfair expectations onto another person? What does it mean to take care of oneself? These inquiries led to an inspiring realization: all the people we encounter in our lives, whether they are foes or friends, are only aspects of ourselves. An Australian living in LA, Meyerratken wrote The Other Person is You at seldom-used picnic tables in secluded parts of the Griffith Park trails, in her cosy Los Feliz apartment and late into the night at her parents’ dining table when visiting family in England. For all the solitary time Meyerratken spent writing and producing, there’s a celebratory excitement in the album, owing to her recruitment of a “bunch of friends that live around me in LA.” (calling them special guests would be too formal) including Allison Pierce (The Pierces), Koool G Murder (Eels), Chris Cheney (The Living End), Sean Eden (Luna), members of The Silver Lake Chorus, Sara Lov (Devics), Blake Hazard (The Submarines), Eugene Kelly (The Vaselines) and Britta Phillips and Dean Wareham (Luna, Dean & Britta). 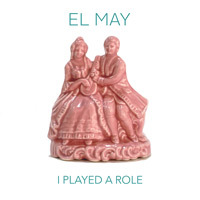 El May will be touring in the UK this autumn. The Other Person is You will be released on CD, digital & limited edition heavyweight white vinyl LP.